Bio Notes: Thomas Lennox Watson was born in Glasgow on 21 August 1850, the son of Charles Watson and his wife Elizabeth (or Eliza, whose maiden name was also Watson) of 11 Loudon Terrace, Glasgow. His father was a member of the great shipping-owning firm of G & J Burns and the naval architect George Lennox Watson was his cousin. His elder sister Isabella was to become the principal of a primary school. Thomas was educated at Glasgow High School, articled to Boucher & Cousland in 1866, and studied at Glasgow School of Art under Charles Heath Wilson. At the end of his apprenticeship in 1871 he found a place as an assistant in the London office of Alfred Waterhouse, and returned to Glasgow to commence practice in 1874, initially at 137 West Regent Street, moving to number 108 of the same street soon thereafter. 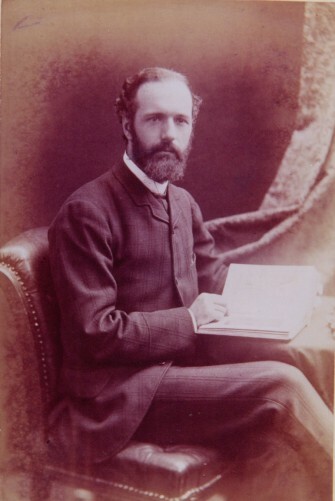 He came into prominence very early, securing the commissions for the free classical Adelaide Place Baptist Church, Glasgow (1875-6) and for the Gothic Kilmacolm Hydropathic (1878) and winning the competitions for the neo-Romanesque Victoria Baths Club, Glasgow and North UP Church in Perth (1876-8 and 1878) and the gigantic neo-Roman Wellington UP Church in Glasgow (1882). He was admitted FRIBA on 9 June 1884, his proposers being John Honeyman, Alfred Waterhouse and Arthur Cates. Watson's experience with Waterhouse showed most obviously in his Romanesque competition design for Glasgow Municipal Buildings, one of the very few non-classical designs to be submitted. In his larger domestic commissions Watson drew more from Norman Shaw's Old English than from Waterhouse, a development that may in some degree have been associated with William James Anderson, who was his chief assistant from c.1883 until 1888. Anderson certainly drew out the high quality Renaissance detail of his Citizen Building in St Vincent Place. In or about 1907 Watson took Henry Mitchell into partnership. Born at Renton in 1864 Mitchell was the son of Francis Mitchell, a gem and seal engraver, and his wife Mary Liddel. He had been articled to Campbell Douglas & Sellars from 1884 until 1889 and had worked for Honeyman & Keppie prior to forming a partnership with William Tait Conner in 1894. This had not prospered and neither had his second partnership with Charles Edward Whitelaw formed in 1902. Together Watson and Mitchell completed the very large block at 396-450 Sauchiehall Street, but the partnership was brief. It ran out of work and by 1914 Mitchell was practising alone from his house at 20 Sutherland Street, Helensburgh while Watson was maintaining a small studio separate from his house at 534 Sauchiehall Street. Watson's date of retirement is variously given as 1911 (British Architectural Library/RIBA 'Directory of British Architects 1834-1914') and 1917 (RIBAJ Obituary), but he never retired completely, exhibiting at the Royal Glasgow Institute until 1918. 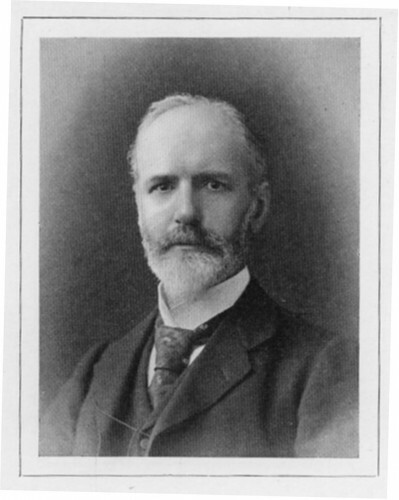 His work was widely published, some of it in continental journals and he was prominent in professional life as a council member of the RIBA, President of the Glasgow Institute of Architects and of the Glasgow Architectural Association and as Governor of the Glasgow and West of Scotland Technical College. For a time prior to 1893 he was an examiner for those sitting the RIBA's qualifying exam in Glasgow. In his later years he became a pioneer in prefabrication. Professor Alexander McGibbon related how he took out patents for hollow walls and monolithic construction in concrete. These were put to the test in a cottage at Kilbirnie with walls hardened on the flat which were raised vertical in one and a half hours. He also campaigned vigorously for a high-level bridge over the Clyde, exhibiting a design for it at the RGI in 1918. In person Watson was described by 'Quiz' and others as 'somewhat reserved' but 'Quiz' (probably Macaulay Stevenson) found that 'from a more intimate acquaintance one is impressed by his great seriousness thoroughness and integrity'. Malcolm Stark described him as 'resourceful, precise, and business-like'. Like Honeyman he was a notable antiquary particularly in respect of Glasgow Cathedral. His theory that the central vault of the lower church was a departure from the original plan was at first accepted by MacGibbon and Ross but later repudiated after it was disputed by Peter Macgregor Chalmers. This resulted in Watson's major book, 'The Double Choir of Glasgow Cathedral,' in which he adhered to his original analysis with a detailed dissection of the building history of the lower church. Watson died of cancer at 11 Loudoun Terrace on 12 October 1920. He left a legacy of £100 free of duty to the Glasgow Institute of Architects (a prize bearing his name is still awarded today). He had been married to Margaret Barr-Watson Pennell.